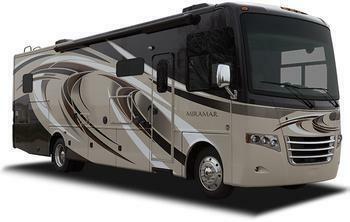 Thor Motor Coach (TMC) is recalling 529 model year 2017-2018 Challenger, Axis, Chateau, Four Winds, Hurricane, Miramar, Palazzo, Tuscany, Vegas, Venetian, and Windsport motorhomes. The cargo carrying capacity (CCC) label on these vehicles may indicate an incorrect water capacity for the water heater/fresh water tank. Thus, these vehicles fail to comply with the requirements of Federal Motor Vehicle Safety Standard (FMVSS) number 120, "Tires and Rims for Motor vehicles over 10,000lbs." If the water capacity information is incorrect causing the vehicle to be overloaded, there would be an increased risk of a crash. TMC will notify owners and send them corrected labels, free of charge. The recall is expected to begin December 3, 2017. Owners may contact TMC customer service at 1-877-500-1020. TMC's number for this recall is RC000147.